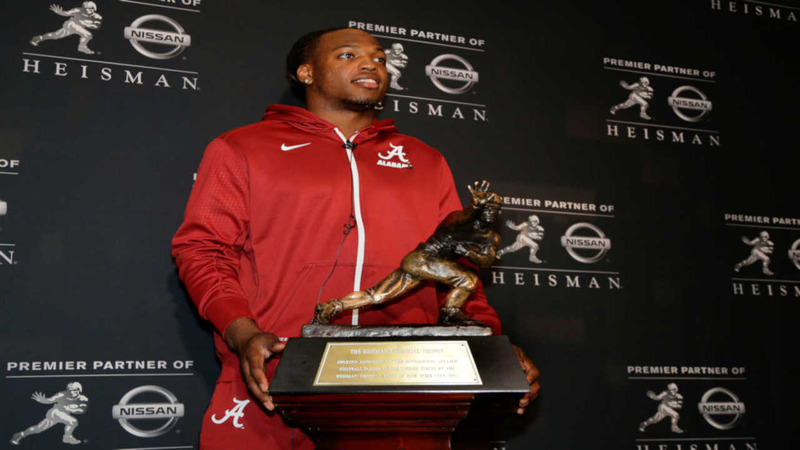 NEW YORK -- Derrick Henry bulldozed defenses while carrying Alabama's offense this season, and then walked away with a Heisman Trophy. The Crimson Tide's super-sized tailback won college football's most famous player of the year award Saturday night, becoming just the third running back to take the Heisman in the last 16 years. The 6-foot-3, 242-pound Henry is the second Alabama player to win the Heisman, joining 2009 winner Mark Ingram. Since Ingram won the award, it had gone to five straight quarterbacks. Stanford's do-it-all running back Christian McCaffrey was the runner-up, making it four second-place finishes for Cardinal players in seven seasons. Deshaun Watson, quarterback of No. 1 Clemson, finished third. It was the closest Heisman voting since Ingram won by the slimmest margin ever, but still a comfortable victory for Henry. He received 1,832 points, 293 more than McCaffrey (1,539). Watson received the third-most points for a third-place finisher with 1,165. Henry broke the Southeastern Conference record with 1,986 yards rushing - held by 1982 Heisman winner Herschel Walker - and matched a league mark with 23 touchdowns, leading No. 2 Alabama to the College Football Playoff.